Cecilia Brunson Projects is delighted to announce Willys de Castro: From Paintings to Objects 1950-1965, the next in a series of exhibitions which aim to introduce London audiences to the work of major modern and contemporary Brazilian artists. The exhibition is de Castro’s first solo exhibition in the UK and follows a successful exhibition at the Institute of Contemporary Art in São Paulo from earlier this year curated by Gabriel Pérez-Barreiro. The exhibition is presented in association with Almeida e Dale Art Gallery, São Paulo. 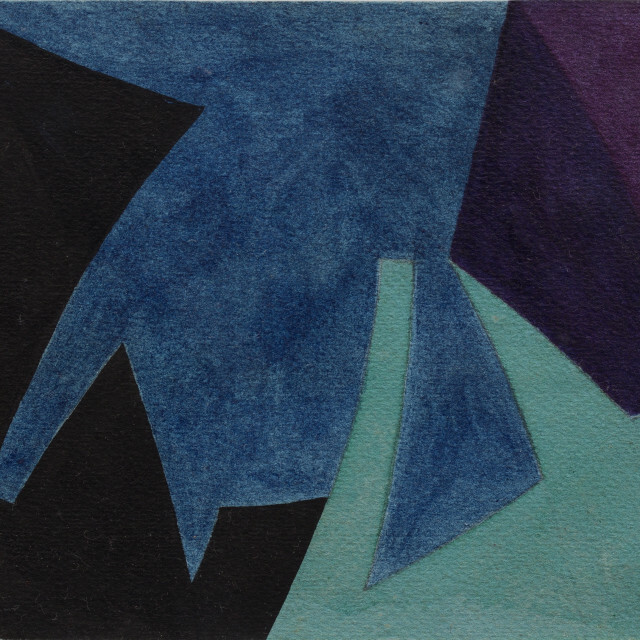 Willys De Castro was a leading figure of the Neo-Concrete Movement in Brazil, renowned for his exploration of geometric abstraction with highly experimental work which stretched the boundaries of two dimensional painting and created a ground-breaking precedence for future performance and minimalist work. The works in From Paintings to Objects 1950-1965 were created during the 50s and 60s and in particular represent a rare opportunity to see a transition between his paintings and sketches to his Objetos Ativos (Active Objects) series (1959-1962), one of the most memorable moments of the Neo-Concrete movement. The works from Objetos Ativos, half painting – half sculpture, cannot be viewed from one fixed point, requiring instead a physical interaction from the viewer to appreciate the dialogue formed between the opposing angles of each work. These forms, which appear to flow and spill from one side of the work to the other, often seem to be in opposition, providing a set of positive / negative forms which can only be revealed and ignited by the participation of the viewer. To observe the work properly there is a constant need to come and go, walk in front of the object, seeing one side at the same time as the viewer remembers and reconstructs the other. In this process time and movement are evoked as integral elements of the work, as much a part of the object as the canvas and oil used in its production. Willys de Castro’s work is held in some of the most prominent public and private collections worldwide, including the Instituto de Arte Contemporânea and Museu de Arte de São Paulo as well as the Museum of Modern Art, New York. De Castro’s work has been exhibited widely, featuring in recent surveys of Brazilian art at the Royal Academy, London (2014) and Luhring Augustine Gallery, New York (2015). The exhibition will be accompanied by a fully illustrated catalogue in both English and Portuguese.